– A bee can only count to fifteen. I can count up to 30 though. – Do bees in a hurry travel in a zip line? Man, forget it. I’m so sorry ha ha. Here’s something I drew at work not knowing it was Pride Week in Halifax. Happy Pride Week Halifax! 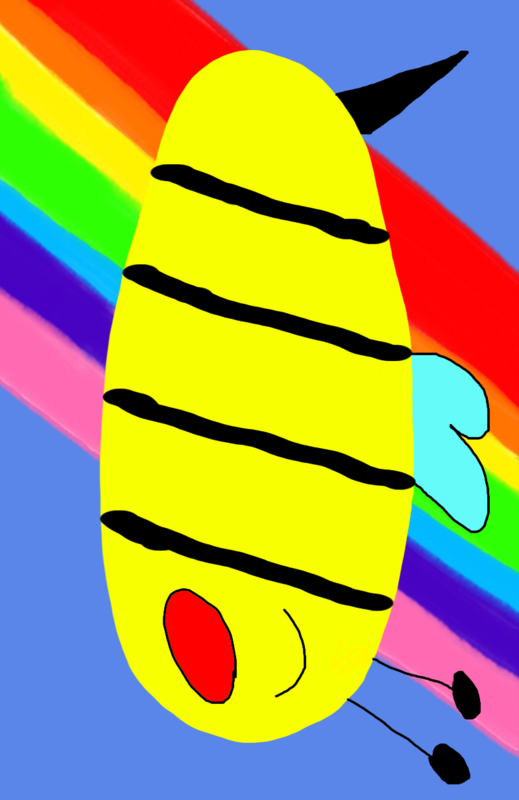 This entry was posted in Bees!, Blog, Blogging and tagged Art, children, halifax, happy, jokes, picture, pride, writing. Bookmark the permalink.